William Chemno’s educational journey in Toronto began in Parkdale, a small but bustling neighbourhood in the city’s west end. Originally from Kenya, the 32-year-old had his sights set on a post-secondary education. Chemno knew that in order to be successful in a post-secondary program, he needed to improve his reading, writing, and math skills. So, he joined Parkdale Project Read’s Academic Upgrading Program, a community-based adult literacy program. Immediately, he got to work: He learned how to write a proper essay, improved his grammar and punctuation in writing, and built confidence in his reading abilities. Chemno is one of many Canadians working to improve his literacy in part to achieve greater academic and personal goals. Still, there is little awareness of just how important adult literacy is. As an adult literacy practitioner who works with learners in community-based programs in Toronto, I know that it is an often-overlooked issue that’s rarely discussed in larger policy discourse. Decision-makers and elected officials at the federal, provincial, and municipal levels still haven’t fully grasped the importance of ensuring that all Canadians are giving the support and resources to increase their literacy and numeracy skills. If adult learners do not have basic literacy and numeracy skills, everyday tasks become difficult: It becomes harder to apply for jobs, read to their children and grandchildren, complete government forms, vote, and access social supports. The implications of adults with low literacy skills have significant social and economic effects. Learning to read, write, and do math in the dominant language of the society that you live in is practising how to communicate. It involves building skills, perspectives, and knowledge face-to-face and electronically that is relevant and meaningful. For the many adults working to improve their literacy and numeracy skills, the issue can no longer be invisible. Adult literacy in Canada has a long and rich history. Beginning in the 1800s, the Mechanics’ Institutes in Ontario, Quebec, and Nova Scotia provided information and learning opportunities to labourers exclusively. In 1893, the National Council of Women, an advocacy organization based in Ottawa whose mission was to improve the conditions of women and families, was founded. Home and school associations expanded, public lectures were given in many communities, and educational programs were organized by religious and other groups. By 1899, Frontier College was established and began providing literacy support to individuals in remote communities, who worked in industries such as mining and logging, and eventually extended its educational services to people in prisons, factories, migrant farms, rural populations, domestic workers, and immigrants, as well as those experiencing homelessness. On the international stage, Canadians made contributions to organizations such as the International Congress of University Adult Education and the United Nations Educational, Scientific and Cultural Organization (UNESCO). During the UNESCO conference in Tokyo in 1972, and under the leadership of a Canadian adult educator, James Robbins Kidd, in 1973, the International Council for Adult Education (ICAE) was established. Today, there remains a lack of understanding and awareness of adult literacy and its role in being active and engaged in a democratic society. UNESCO defines literacy as a right and takes a humanistic approach to education, with a central concern for inclusiveness that does not marginalize. Through this lens, consider Brazilian educator and philosopher Paulo Freire’s take on learning: He believed that education and politics are connected, suggesting that the acts of teaching and learning are political acts in and of themselves. Therefore, when we examine adult literacy and its importance in Canada on a systemic level, it is a political act. Under Stephen Harper’s Conservative government, adult literacy education became increasingly political across the country after a drastic policy shift. Many adult literacy programs experienced funding cuts, and adult literacy was no longer defined as a means of life-long learning and inclusiveness but as “essential skills.” In 2007, the Office of Literacy and Essential Skills (OLES) was established to support adult Canadians in improving their essential skills to enter and succeed in the job market. Federal policies made the assumption that adult learners who were working on improving their literacy skills did so solely for employment purposes. As a result of this federal shift, provinces began to follow suit. Funded by the Ministry of Training, Colleges and Universities in Ontario under the Employment Ontario model, the Ontario Adult Literacy Curriculum Framework, for instance, became heavily focused on employment. As a result, those seeking literacy skills for anything other than employment-specific reasons became furthered marginalized. To better understand the issue, I reached out to other literacy workers, like me, across the country who are working to improve access to literacy education and increase its visibility. The many practitioners that I spoke to have been working in the field for decades and continue to be deeply committed and passionate about their work. The consensus: There’s still plenty of work to be done. “I thought we were moving toward better research, a more evidence-based approach to adult literacy. But that was all eliminated with the [Harper] cuts and it sent a very strong message about the national effort to address literacy,” says Deanna Allen Champagne, former executive director of Laubach Literacy in New Brunswick. “It wasn’t important enough to maintain that kind of federal commitment.” Terri Peters, a professional development specialist with Calgary Learns, agrees: “The changes in government policy had a profound effect on adult literacy policy, which further marginalized and isolated the field.” These policy changes, Allen Champagne adds, ignore the larger issue of adult literacy outside of a workplace environment, minimizing its overall visibility in the country. Jenny Horsman, a community-based researcher and educator based in Toronto with a focus on violence, trauma, and learning, echoes this sentiment. “We have shifted away from literacy [and its] relationship to text, and moved toward this bizarre focus on essential skills,” she says. “Excluding the skills the government doesn’t name as essential for work, such as the impact of violence on learning, removes funding for vital learning and teaching.” Important skills, such as public speaking or a better understanding of digital technology, are also excluded. In the end, practitioners say, the issue of adult literacy has become tangled in a larger fight—one of decentralization of social programs in the government, of a focus not on education but of employability—that can only stand to hurt those yearning to learn. For Indigenous communities, this marginalization is especially potent, says Michelle Davis, executive director of the Ontario Native Literacy Coalition in Ohsweken near the Six Nations of the Grand River. Last year, when Literacy and Basic Skills (LBS) practitioners met in Toronto, most agreed there is still stigma to the word literacy. “Because our students are the ones that the education system has failed, that stigma attached that comes with our programs comes into play and we’ve got to get away from that,” she says. Media coverage usually doesn’t help matters. Often, journalism about low literacy consists of human-interest stories that don’t take a critical look at the policies and people in power who have changed the discourse on the issue. “Adult literacy does not have public credence,” Peters says. “When I try to talk about reading, writing, and numeracy, it seems harder to engage others in what it means to have literacy knowledge and skills gaps,” adds Berniece Gowan, a project manager with the Adult Literacy and Essential Skills Research Institute at Calgary’s Bow Valley College. But some practitioners object to it being an invisible issue. 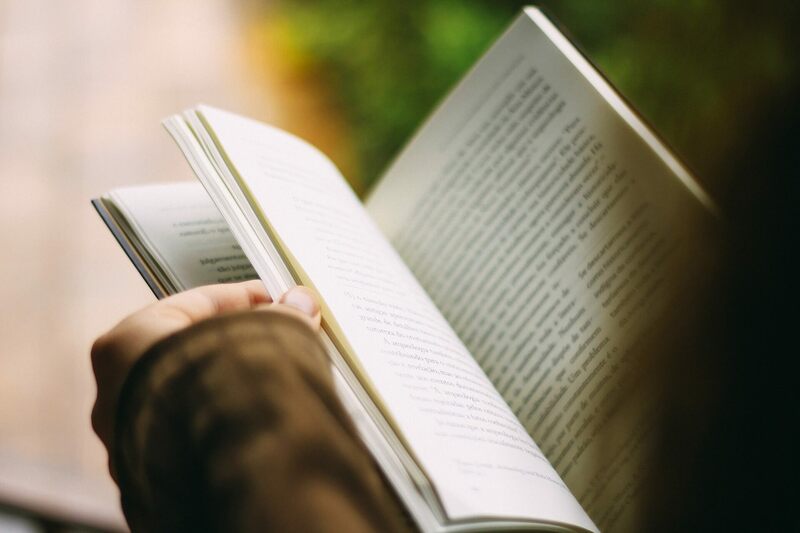 “If we say adult literacy is invisible then it becomes invisible,” says Suzanne Symthe, associate professor in the Faculty of Education at Burnaby, B.C.’s Simon Fraser University. “Adult literacy work is everywhere. It is so entangled and embedded in everyday life.” To ignore this, she says, is to lose progress. William Chemno’s journey from the Academic Upgrading Program to being a student at Centennial College is a testament of how programs similar to the one in Parkdale, in addition to community-based adult literacy programs that are supporting learners with various goals, are critical in supporting adult learners who seek a second chance at learning. And for Chemno, it is thanks to his persistence and dedication as well as the support and encouragement from staff, that he has been given that second chance. Currently, Chemno is in his third semester at Centennial College, completing his diploma to become a registered practical nurse. Now, Chemno is giving back, providing support to those in the Project Read program who are looking to improve the literacy just like he was. Phylicia Davis is the founder and program coordinator of the KGO Adult Literacy Program, a community-based adult literacy program in Scarborough. She is also an instructor coordinator with Frontier College, a national literacy organization. With a Master's in Education, focusing on Adult Education and Community Development, Phylicia has been working in the adult literacy field for more than five years.